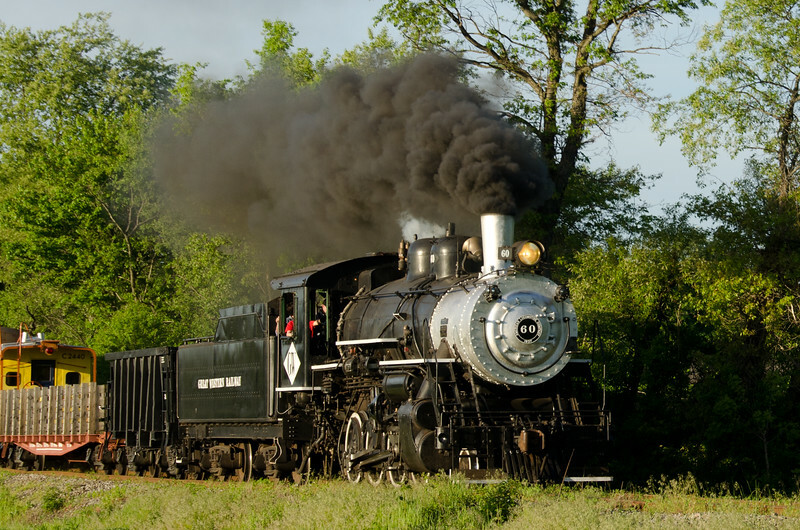 This handsome big 2-8-0 Consolidation hails from the Great Western Railroad of Fort Collins Co. Back in the day she earned her keep hauling trainloads of sugar beets which remain the big agricultural commodity in that region. Today the Great Western continues as a shortline owned by OmniTRAX. Meanwhile, the #60 has migrated east and continues in a working retirement on the Black River and Western Railroad in New Jersey, having substituted passengers for sugar beets. Her she is seen on a short photo charter. One of #60's distinctive features is the extended smokebox which was installed during her days out west.